The team at Home Instead Senior Care in Wandsworth have put their knitting needles to good use to help Age UK in their 2011 Big Knit campaign. The Big Knit campaign see the people from Age UK, Innocent consumers, and Sainsbury’s staff knitting little woolly hats to place on the top of Innocent smoothie bottles. 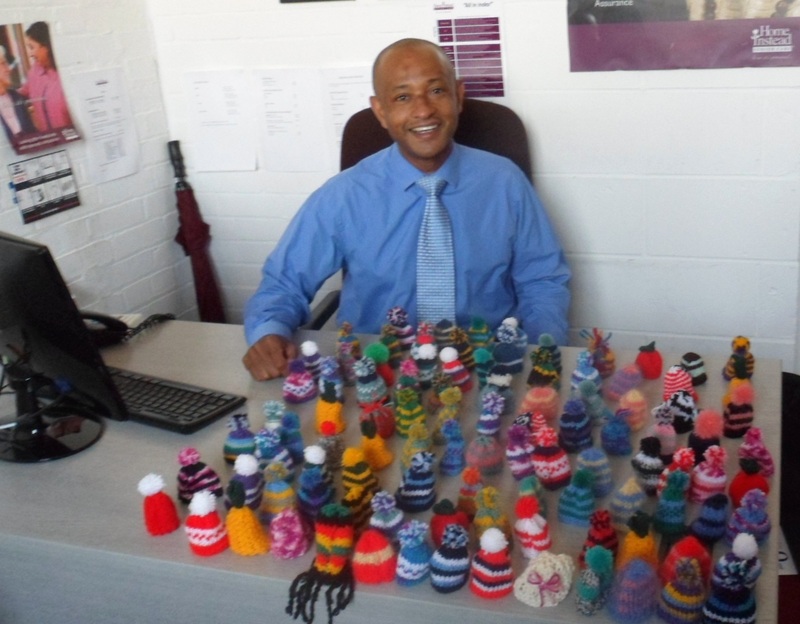 Owner of Home Instead Wandsworth, Tony O’Flaherty, enlisted the help of his partner and in laws to successfully knit 100 mini woolly hats to place on the top of Innocent smoothie bottles. The fashion-conscious smoothies can be found in the chillers at Sainsbury’s from November, with a donation of 25p for each bottle sold from Innocent and Sainsbury’s going towards Age UK. The money raised will go to Age UK to help keep the elderly community warm in the colder months. Home Instead Senior Care is one of the UK’s leading at home care providers. Their service is tailored to the needs of individual clients and ranges from companionship, meal preparation, light housekeeping, post-discharge care, medication reminders, shopping and errands to personal care. The service is available 24 hours a day, seven days a week. If you would like any more information about Home Instead and the care it offers call 0208 871 0006 or visit www.homeinstead.co.uk/wandsworth.